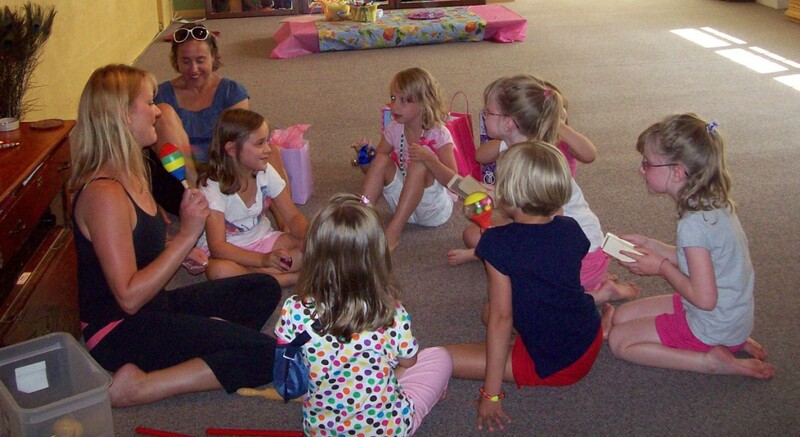 Yoga Birthday parties are fun, creative and playful, a truly unique way to celebrate your child’s birthday. Classes are planned with the age and interest of the birthday child and involve breathing, movement, games, stories and relaxation. 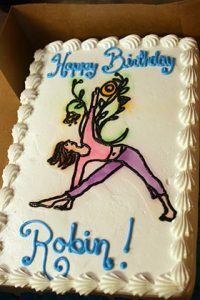 Yoga birthday parties can be scheduled at the Yoga to Grow Studio or at your home or other location. Little Yogi Birthday Parties center on a fun and imaginative yoga practice designed for young children. The children will use their imagination to explore yoga poses, balance, breathing and relaxation. In addition, two child-based play activities will be offered that allow the children to explore and express their creativity. We have a variety of activities to choose from based on your child’s age and interest. YTG will organize and coordinate the party (yoga and activities) so that parents can enjoy the experience. Celebrate your child’s birthday with a yoga party designed around their favorite theme. Yoga poses, games, stories and movement exploration are all part of the fun for 6-10 year olds. Perhaps you have a theme in mind or choose from one of ours. The party will begin with a yoga practice and relaxation followed by creative activities designed for self-expression and fun. Additional cost for special activity materials may apply. Pajama Yoga Parties are perfect for sleepovers. This 1 1/2 hour party event can be hosted at the studio or in your own home or other chosen location. Children should wear their pajamas for this fun and relaxing class including a creative art project, yoga poses, partner work, and games. The party ends with a deep relaxation to wind down the evening. Yoga Spa Parties are perfect for teens or pre-teens who want to share an evening of yoga and relaxation with their friends. Spa parties begin with 60 minutes of yoga and an additional hour of pampering through partner massage, hand and foot scrubs and a deep restorative relaxation. Props, cushions and blankets help enhance the experience. A Yoga Spa party gives the gift of pampering and self-care to everyone who attends. Spa Parties are available for girls of any age who want to explore yoga and relaxation together. Ready to book your party? Contact Susan. *Studio rental fees are $20 per hour. Book your party well in advance to reserve your date at the studio. Parties for 3-10 year olds with more than 10 children present will be taught with an assistant teacher with an additional cost of $30. Spa Parties with more than 12 children present will be taught with an assistant teacher for an additional cost of $30. Yoga Parties at the studio are booked Fridays 6:30-8:00, Saturdays 2:00-3:30, 4:00-5:30 or 6:00-7:30 and Sundays 2:00-3:30.